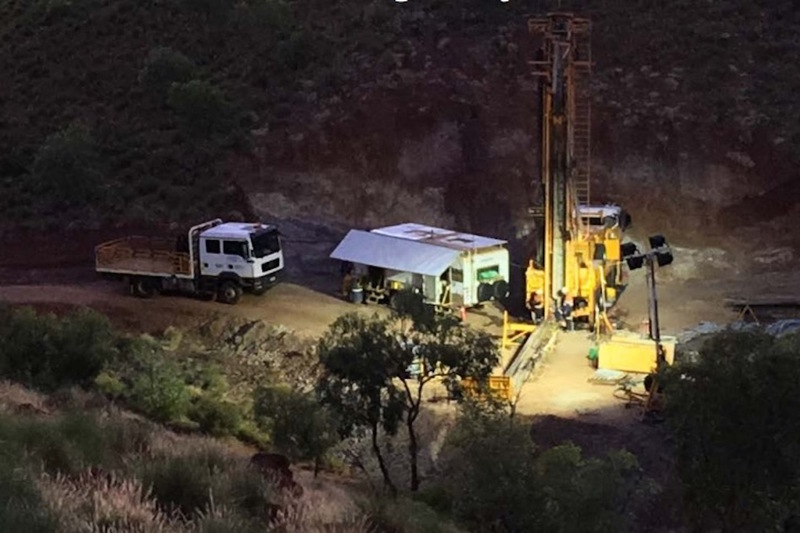 Hammer Metals are set to launch a drilling blitz across a number of their best Queensland prospects in the Mt Isa district, including the rapidly emerging Kalman West prospect. Just 1km west of the company’s flagship Kalman deposit, Kalman West has raced to the top of Hammer’s list of priorities after a new gold zone was established there last month by a series of impressive drill hits. 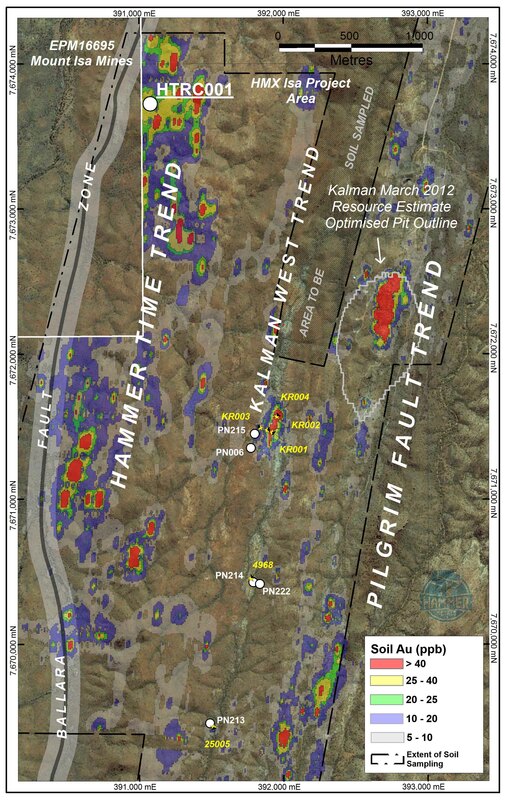 The company is keen to uncover just how much gold it could have on its hands at Kalman West, given the impact it could have on the development of Kalman itself that boasts a copper-gold-molybdenum-rhenium deposit with 20 million tonnes grading 1.8% copper equivalent. The answers should come thick and fast from a nine-hole RC program of about 1000 metres, due to begin early next month. The program will follow up last month’s results of one metre at 36.9 g/t gold and one metre at 3.93 g/t gold. 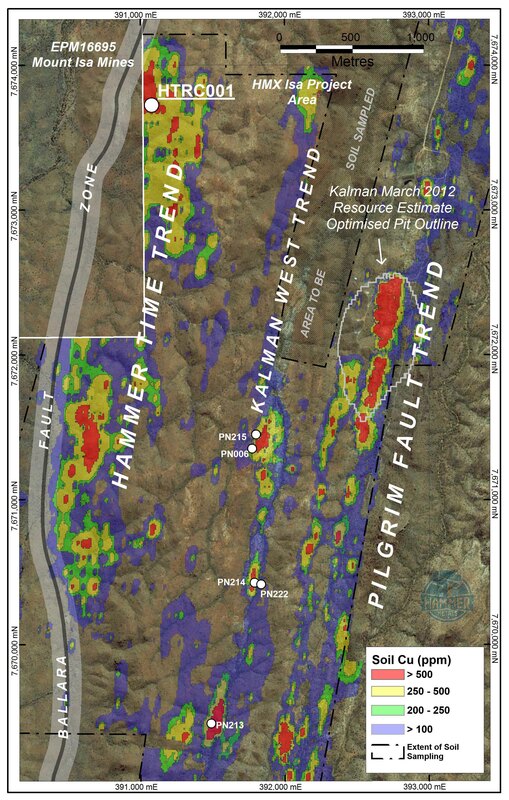 The gold soil anomaly that drew Hammer to Kalman West extends over several hundred metres in an area that historically has seen very little previous drilling. 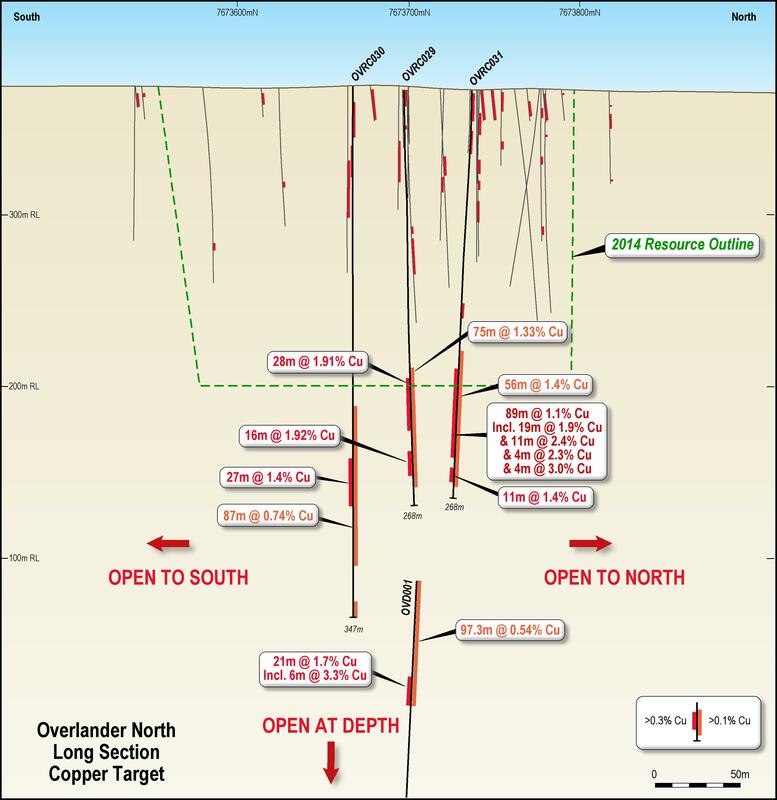 Kalman West is just the first in a series of Mt Isa prospects to be drill tested from October by an RC program totaling more than 3000 metres. The next cab of the rank will be Hammertime, which is just 2kms west of Kalman. 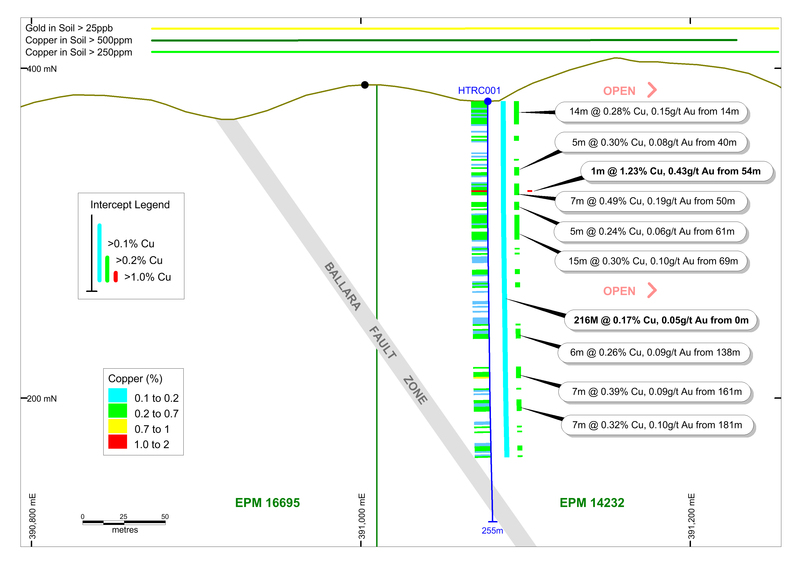 A five hole program of 1,300 metres is planned as a first-pass test of extensive copper-gold soil and rock chip anomalies associated with strongly altered and brecciated sediments adjacent to the Ballara Fault. Other drilling targets include the Serendipity and Pharaoh East prospects, which were defined by the same high-tech VTEM airborne survey that drew Hammer to Kalman West earlier this year. The new RC drill program will also see Hammer sink its first holes into exciting prospects picked up earlier this year in a buyout deal with AuKing, formerly Chinalco Yunnan Copper Resources. The Elaine-Dorothy deposit, which already has a resource of 143,000 tonnes of copper, is the first to be targeted. 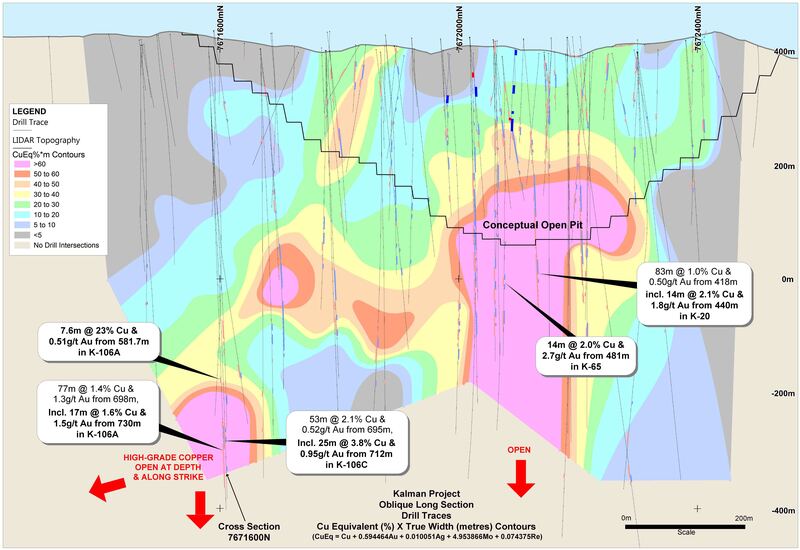 Hammer is planning two shallow RC holes at Elaine to test for near-surface extensions of high-grade mineralisation identified by a previous drill hit of 30 metres at 6.73 g/t gold from 508 metres. The Jubilee copper-gold prospect is likely to be next. Jubilee is part of the Mt Frosty joint venture, also bought from AuKing but only finalised last month. Mt Frosty took six months of patient negotiations with Glencore to be brought into the fold. Interestingly, the mining giant has retained a 49% stake in that project. Hammer believes that previous wide-spaced drilling suggests excellent potential to delineate a copper-gold resource with minimal infill drilling. 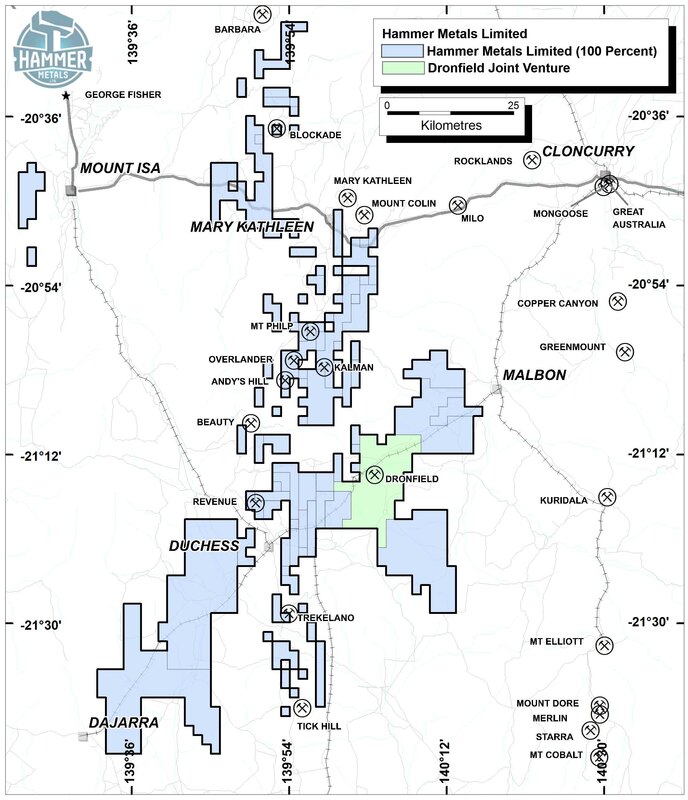 The Mt Frosty deal has also given Hammer control over 8kms of the Mary Kathleen shear zone, which hosts Mary Kathleen, Elaine-Dorothy and a number of other copper-gold-REE and uranium prospects. Hammer is already well advanced compiling all the historical data and will be the major beneficiary of a Queensland Government aeromagnetic and radiometric survey being flown over the area later this year. With drill results set to pour in over the rest of year and a bulging pipeline of prospects in development, Hammer now has investors and shareholders brimming with anticipation.